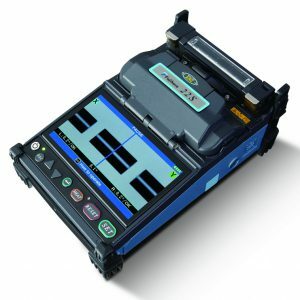 FSM-18S Fusion Splicer Includes: ADC-13 AC Adapter, ACC-14 AC Cord, Sheath Clamp, USB Cable, Splicer Carrying Strap, Quick Reference Guide, Video Instruction Manual, JP-05 Splice Sleeve Cooling Tray, and Transit Case with Carrying Strap. 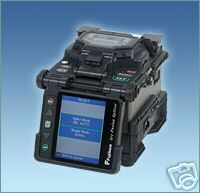 This FSM-18S Fujikura Fusion Splicer is Made for the USA and can be serviced in the USA. 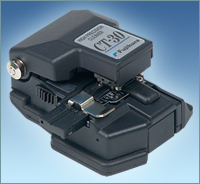 The FSM-18S Fusion Splicer is a low cost, fixed V-groove, single fiber fusion splicer with the same robust features offered in other high end models. The new rugged construction adds improved reliability by resisting shock, dust, and rain.